“Working at the interface between culture and politics is something that’s a common thread running through most of our productions,” says documentary producer Birgit Schulz of Cologne-based Bildersturm Filmproduktion, which she founded in 1993. “We invariably look for cultural subjects which also have a socio-political significance or vice versa,” she explains, pointing to the example of THE GREENS AND THE POWER to illustrate her point. Since 1993, Bildersturm has produced more than 50 documentaries for theatrical release or for public broadcasters at home and abroad, and many of the films have been subsequently sold to TV stations around the globe from YLE through NHK to Canal+ and Aljazeera. Each year sees the company producing around eight films. Over the past two decades, Schulz and her team have worked on an eclectic mix of subjects: from three master forgers from Berlin’s Neukölln district (THE LENINGRAD COWBOYS OF THE ART WORLD), through the relationship between religion and sexuality (FAITH LOVE DESIRE — WORLD RELIGIONS AND SEXUALITY), and Rio de Janeiro’s legendary Maracana football stadium (TEMPLE OF EMOTIONS), to portraits of the British sculptor Richard Deacon (RICHARD DEACON — IN BETWEEN), the psychoanalyst Margarete Mitscherlich (PRE­SENCE OF MIND), and the German industrialist Robert Bosch (ROBERT BOSCH — LEGACY OF AN INDUSTRIAL PIONEER), as well the psychology of psychopaths (ON THE TRAIL OF EVIL) and life for Germany’s first Turkish guest workers (FORD FATHERS — GUESTS IN A FOREIGN COUNTRY). Bildersturm’s productions have also gathered their fair share of awards and distinctions: for example, THE LAWYERS – A GERMAN STORY was awarded the PHOENIX Documentary Prize in 2010 and then picked up two Adolf Grimme Awards a year later for Schulz’s script and direction and for the editing by Katharina Schmidt. In 2010, Joachim Vollenschier received the Helmut Schmidt Journalist Prize for his documentary CHICKEN FOR AFRICA in recognition of “outstanding work in the field of economic and consumer journalism”, while author Peter Scharf was presented with the PUK Journalist Prize for his TV documentary SCHOCKBILDER – DER MANN, DER MIT WERBUNG POLITIK MACHT about the controversial photographer Oliviero Toscani in 2011. The PUK Journalist Prize also went to Schulz and co-director Gerhard Schick for their film ALLAH IN EHRENFELD about the building of Germany’s biggest mosque near the center of Cologne. Indeed, international partners are increasingly becoming a crucial and indispensable part of the formula when financing is being raised for new documentary projects. “Relying on only one source of financing and one broadcaster isn’t sufficient anymore and the films we want to make can’t be financed only from within Germany,” Schulz explains. 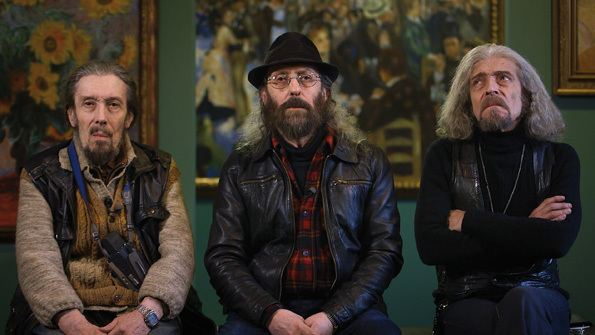 “We couldn’t operate without co-production, pre-sales or some other forms of participation.” Bildersturm’s international network was given an extra boost when Schulz took part in the MEDIA Programme’s EAVE training initiative for independent producers with the project ROUGH CUTS in 2006. Apart from managing her company and serving as producer, Schulz has occasionally donned the director’s hat for some of the films developed at Bildersturm. 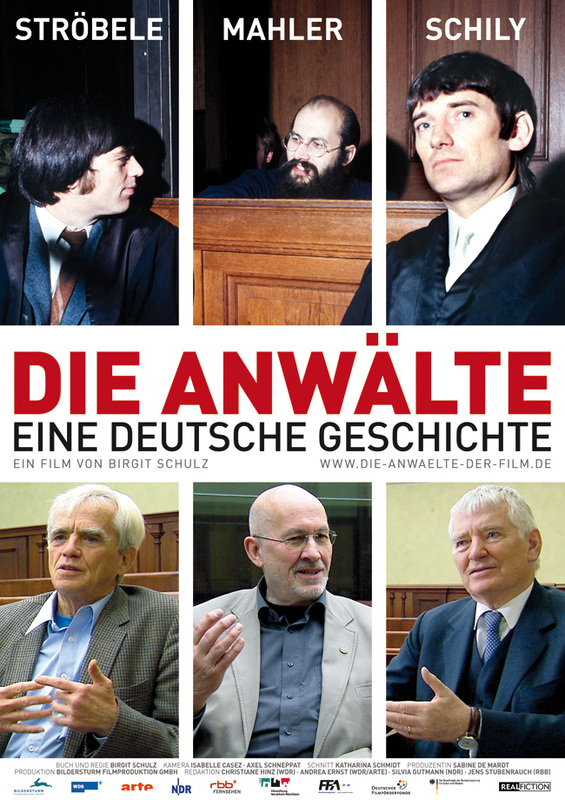 These have included the TV documentaries KÖNIGS­KINDER — ROMY SCHNEIDER AND ELISABETH VON ÖSTERREICH, ROBERT BOSCH — LEGACY OF AN INDUSTRIAL PIONEER, A RIGHT TO LIVE — AIDS-MEDIKAMENTE FÜR MILLIONEN, and ALLAH IN EHRENFELD through to the feature documentary THE LAWYERS — A GERMAN STORY. Coming from a background as a photographer, Schulz says that she was originally moved to set up her own production company “because I wanted to have control over my own work and not be dependent on other producers. I have always liked directing, but have gradually limited this side of my work because of my obligations as producer,” she explains. The intensive supervision of each individual project in an increasingly complex film and television landscape is particularly important at Bildersturm and can only function thanks to excellent teamwork, Birgit Schulz stresses. A tailor-made strategy is devel­oped for each film – from the first idea through to its presentation at festivals – with her closest staff members, the producers Monika Mack and Rolf Bremenkamp. Meanwhile, this autumn will see Bildersturm giving one of its projects the chance of a theatrical release in German cinemas after it was originally conceived only for airing on television. A premiere is planned on November 1 for her latest documentary, INTERVIEW WITH DEATH... JÜRGEN DOMIAN BETWEEN NIGHT AND DAY, about how Germany’s most popular late-night phone-in host Jürgen Domian invites listeners to speak about their personal experiences with death. Tickets for the screening in Essen’s Lichtburg Cinema, Germany’s largest cinema with seating for over 1,300 spectators, was sold out weeks before the premiere evening.